Matt joined Waterfront’s IT team in 2007. In 2009 he established the corporate team and, following the success of that team in 2010 and 2011, was promoted to partner in early 2012. Matt advises clients on a wide range of corporate matters, including setting up businesses, venture capital, joint ventures, and mergers and acquisitions. He has particular expertise in advising entrepreneurs and investors in the IT, technology and digital media sectors. His experience working in-house at Telehouse Europe, a leading provider of co-location services to the IT and telecoms industries, and as part of the IT team at Waterfront (2007- 2009), has given him a good understanding of the legal issues facing technology businesses. 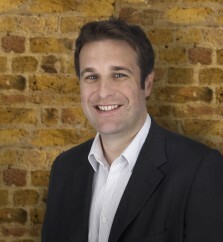 Matt has advised in relation to numerous venture capital investments in tech start-ups and early stage businesses. He is equally able to advise entrepreneurs and investors on the challenges they face and he is valued by his clients for his practical, commercial approach. I joined Waterfront in 2007 because I wanted to be part of something new: to help build a different kind of law firm. Waterfront was only five years old at the time and the prospect of joining a start-up tech law firm was exciting. All the law firms I had previously worked at had been very traditional (read: stuffy). Waterfront was different. It was young, it was friendly, it was vibrant and perhaps most importantly everyone I spoke to was enthusiastic about the firm (clients and employees alike). The firm has grown and matured considerably since I joined, but it has managed to retain many of the aspects that attracted me to it in the first place. In recent years there has been a proliferation of tech-focussed start-up law firms, but Waterfront is still the original and the best. Why did you choose to specialise in corporate? I had spent some time doing corporate work while I was training. I had also drafted a number of shareholders agreements and advised on a couple of small company sales while working in the IT/commercial contracts team at Waterfront, but my first real taste of corporate work was advising the founders of Globrix, a property search website, on their management buyout from News International in 2009 and subsequent sale of the company to DMGT. Although it was exhausting (by the end of the deal we were working flat out day and night) I thoroughly enjoy the experience and it prompted me to set up Waterfront’s corporate team at the end of 2009, the success of which resulted my promotion to partner in 2011. I haven’t looked back since. What’s the most common misapprehension about the legal profession? That all lawyers are the same: expensive, dogmatic and aloof. At Waterfront we pride ourselves on being affordable, pragmatic and approachable.